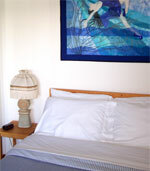 Saturna Island Guest Rooms ~ Lyall Harbour Bed & Breakfast, Saturna Island, British Columbia, Canada, A quality gulf island accommodation. 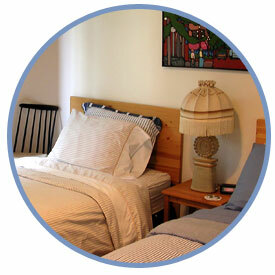 Our guest rooms at Lyall Harbour B&B on Saturna, are designed for your comfort and enjoyment. 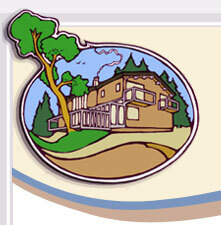 Each room includes a full ensuite bathroom with tub and shower and a selection of quality personal amenities. Our queen size beds are fitted with the finest pima cotton sheets and cozy duvet comforters. All rooms feature built-in closets with full length mirrors and private decks with ocean views of Lyall Harbour and the distant coastal mountain ranges. 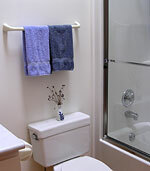 At Lyall Harbour B&B on Saturna Island, we take special pride in keeping our guest rooms immaculately clean, bright and allergy free for your comfort and enjoyment.